Action and adventure await aboard The Venture! Set in 1938, Kel Symons (I LOVE TROUBLE) and Mathew Reynolds' (Marlow) new series THE MERCENARY SEA stars ex-bootlegger Captain Jack Harper and his crew of expats, mercenaries, and treasure hunters. They sail the South Seas at an uneasy time for the world, right when Japan has invaded China and War in Europe looks unavoidable. 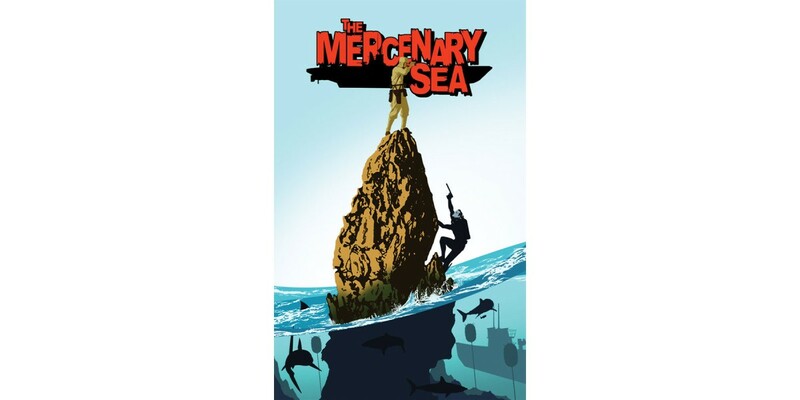 THE MERCENARY SEA #1 is the first in a new ongoing action/adventure series which will be available in stores on February 12, 2014 for $2.99. Pre-orders can be placed using Diamond Code DEC130492.